Our flavor filled Instant Pot easy macaroni salad recipe features a homemade dressing mixed with pasta, crunchy vegetables, and cubed cheddar cheese! Whoa, it’s been awhile since we’ve done a pressure cooker recipe. Since it’s getting closer to Summer, Kim and I have been brainstorming ways to use this kitchen gadget for Spring and Summer dishes. 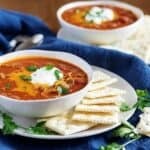 During the Winter, Instant Pot recipes are easy. But, you really have to think about things once, “warm and comforting,” meals are no longer desired. Kim is far better at these kinds of recipes than me. This Instant Pot easy macaroni salad recipe is her creation. I tried the end product and it was good. Also, I applaud her ingenuity in modifying a stove-top version for a pressure cooker. With that being said, there are simple, stove-top directions in the tips section of the post. No matter how you chose to make it, we think you’ll enjoy it. Now, on to the cooking! Alright, this one is a bit lengthy, so I’ll try to paraphrase Kim’s directions from the recipe card. To begin, as always, I recommend prepping your veggies before hand. Furthermore, you could even make the dressing and store it in your fridge, but that’s up to you. The main thing is make sure your peas have been thawed and drained before you begin the recipe! Once the everything is prepped, place the pasta, trivet, and eggs into your pressure cooker. Seal it, and set it to cook for five (5) minutes. Then allow for another five (5) minutes to complete a natural release. After that, place the pasta and eggs into an ice bath to chill for about (guess what?) five (5) minutes. When both ingredients have been properly chilled, drain the water away from the pasta and put it back into the Instant Pot. Peel and dice the eggs and if you haven’t done so already, dice or cube the celery, cheese, onions, and peppers. Now, you can toss everything into your pressure cooker liner. I mean everything, the macaroni noodles, the eggs, all of it. Again, if you haven’t made your dressing, you can do so now. In a bowl combine the mayonnaise, vinegar, salt, pepper, and Dijon mustard. Whisk it all together and pour it into the liner as well. Afterward, you can use a spatula or wooden spoon to stir in the dressing. If you want, you can serve it right away or chill it before serving. It’s up to you. That’s it, your Instant Pot easy macaroni salad recipe is done. For more detailed instructions, please see the recipe card below. In regards to tips, you’ll always find them just before the recipe card. Kim and I hope you enjoy this offering from Berly’s Kitchen, LLC. 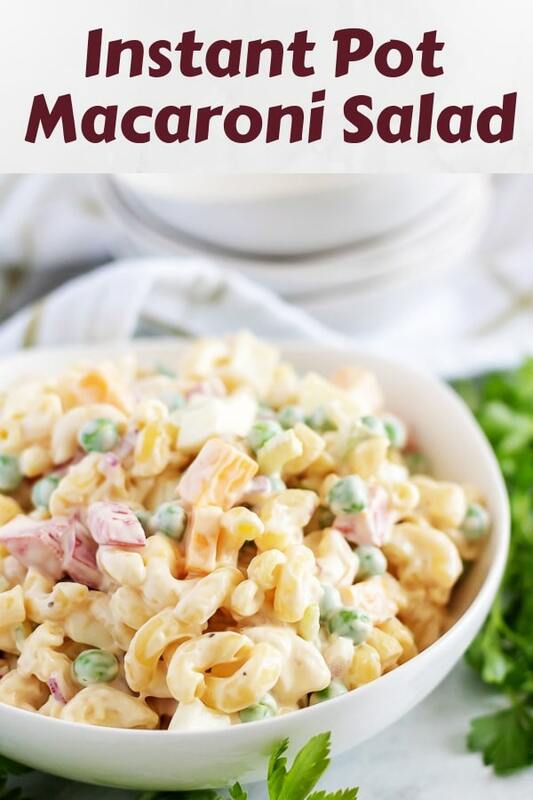 Want your macaroni salad to have even more flavor? Then consider adding bacon, cubed ham, green beans, or even tri-color peppers. To reduce the time for this recipe, I would recommend prepping your vegetables (dicing the onions and peppers, etc. ), while the pasta noodles cook and cool. This recipe can be done on the stove-top. Simply boil the pasta per the box instructions, hard-boil two eggs, and give both an ice bath. 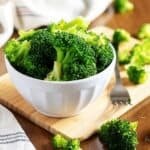 After they’ve cooled, drain the pasta, peel and chop your eggs (along with the rest of the veggies and cheese), make your dressing, and combine everything in a large mixing bowl. If you enjoyed our Instant Pot Easy Macaroni Salad recipe, please leave us a comment and rate the recipe card. You can also find us on Facebook, Pinterest, Twitter, and Instagram by searching for Berly’s Kitchen! Place macaroni noodles into the Instant Pot. Pour in two (2) cups of water. The water should come just above the noodles (add more water if needed). Add a trivet that sets above the water line. Place the two (2) eggs onto the trivet. Close the lid, and set the valve to sealing. Use the manual (pressure cook) button to adjust the time to five (5) minutes. After five (5) minutes is up, turn off the Instant Pot, but allow a five (5) minute natural release before opening the valve to release any remaining pressure. Open the lid. Immediately place the eggs into a bath of ice water, and remove the trivet from the Instant Pot. The eggs should stay in the ice bath for five (5) minutes. Meanwhile, leave the macaroni noodles in the liner, but remove the liner from the Instant Pot. Set it on a heat-safe surface. Place several ice cubes and cold water into the liner along with the noodles. Stir the noodles to disperse the ice and cold water (this will shock the noodles and stop the cooking process). Pour the noodles into a colander to drain off the liquid. Make sure they are well drained. Otherwise, the macaroni salad will be watery. Use a clean towel or paper towel to dry out the inside of the liner. Then transfer the drained noodles back into the liner. Peel the eggs and dice into small chunks. Add the egg pieces, peas, bell pepper, celery, onions, and cheese to the noodles. In a separate small bowl, combine the mayonnaise, vinegar, Dijon mustard, salt and pepper. Pour the dressing mixture over the noodles and vegetables. Stir to combine. 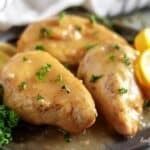 Transfer to the refrigerator to chill or serve immediately! This dish is best eaten cold and should not be consumed if left out at room temperature. The calories listed are an approximation based on the ingredients and a serving size of a half (1/2) a cup of pasta. Actual calories will vary. The macaroni salad can be stored in your fridge in a sealed container for up to three (3) days.